No stranger to good techno, Jon Rundell is a definitive individual when it comes to electronic music. A DJ, a producer, a label head and a music visionary are all appropriate titles to describe Jon Rundell. Be it an Ibizan dance floor or a festival stage, he knows exactly what to do to get the funk and groove right where it needs to be. “Groove, funk, soul with a little twist of toughness” is how Jon succinctly describes his current sound, and what a great, authentic sound it is. Jon is the co-head of Intec Digital, along with Carl Cox, which is arguably one of the most influential labels in techno today. In between trips to Ibiza (where he recently opened for The Chemical Brothers), Jon spent some time answering our questions. 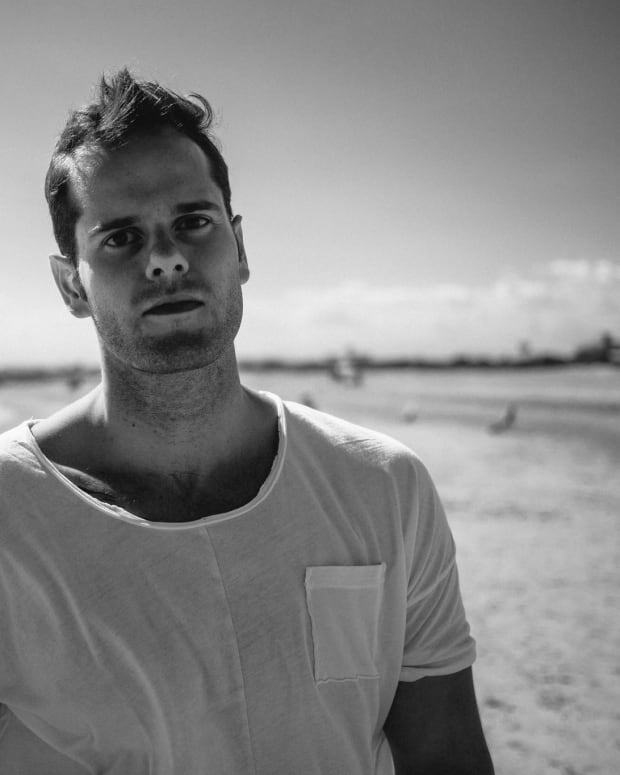 We were curious about his insights on the current state of techno, what he is up to this year, and eager to glean what’s made this man the creative force that he is today. How might you assess the state of techno today? Is it thriving? I would definitely say it’s thriving. Certainly in the states there is more of techno DJs traveling over and playing in clubs that traditionally haven’t always had techno playing in them. For example, Pacha in New York have been booking a few more DJs, and with the festivals as well like EDC, there’s always a stage there now that represents this kind of music. In terms of what is happening in the states, I think it’s great that a new generation of people are starting to connect with it and understand it, you know? That’s due to top DJs coming out all the time, for the last ten years to get them into this music. It’s taken a while, but I’m happy now there is a generation that is really into it. In Europe as well, I mean it’s always be popular, but at the moment I feel it’s more popular than ever. It goes through all kinds of transformations in terms of style within it that become popular as well, at the moment I definitely feel like there’s a slightly tougher sound that’s coming through a lot more, which is something I like the energy of, but at the same time, I don’t like to play a whole set of that. I like to switch it up quite a bit too and keep the funk and the groove going. I think it’s in a very good place right now, there’s a lot of diversity within it. Techno is quite a broad word these days for one genre of music, I would say there’s probably five or six strains within it, so creatively it’s in a very good place. How does it feel to co-head arguably one of the most definitive labels in techno? Is it stressful? Gratifying? I can’t imagine it’s easy or stress free, but you do such a great job. Everyday is different. It’s just a case of keeping on top of everything, and trying to hook in, just push things forward. We’re doing this as our way of life, we believe in it. I believe in bringing new artists to the table, showing people that they are there and what they are capable of, and building them up and giving them a platform as a voice to go out there and be recognized for the talent they’ve got. That’s really the main aim of the label. Obviously there’s a lot of admin work involved in that too, it can be stressful like anything that anybody does, but at the same time when you’re playing those records in the clubs and you’re seeing people enjoying them, it’s one of the best feelings in the world for us. When you are performing your live sets, I have heard you quoted as saying that you focus on making sure people have a great time as well as a little bit of education. How do you successfully manage to accomplish these two goals? Do you go into a set with an idea of what you want to play and what territory you want to explore? Or do you just have a few selections in mind and then see how the audience reacts? Most of that comes into a lot of advanced prep work really, nothing is planned. It literally is, I have one record and five records that will work with it that I know will change the mood accordingly. That’s really important for me and they are all stored inside my head, so a lot of that work beforehand is working out those things, especially if you just come across twenty to thirty great new tracks that week and you get excited about playing them, you’re sure they are going to connect with people, and it’s also important to play new music for people that they’ve never heard, and you can subtly do that, and it works, then great, you know? People might not know what they are listening to or why they are listening to it, but as long as they are still having a good time, in amongst tracks that they connect with a little bit more. It might be a bit further down the line, but the stuff that you are pushing onto them becomes a little bit more popular. Again, it’s all about challenging and testing and just trying to push things forward all the time. When you are producing in the studio, how do you translate these inspirations into your music? Do you have guiding production philosophy? Or do you just start grooving and making beautiful tunes? Literally start with a blank page, start getting the basics of a track down. I usually start with kick and bassline, every time, just to get them sitting nicely. I spend quite a lot of time on the basslines actually because that helps bring the groove. Then once I have got those in place I then tend to start feeling out for a certain type of high hat that might go with the vibe that the bass is giving and then so on, building percussion around that. Building in other elements that draw people in, whether it be an acid line, whether it be a piano or anything really, any kind of sound, or a vocal. Once I’m happy with the way that all sits, then I’ll start to arrange the track. I saw on your Facebook you had a great night at the Octopus Recordings party, and in this specific status update you ended it by saying you were taking a few days of meetings and inspiration. What exactly did you mean by a few days of inspiration? Essentially, what inspires you? Something like Sonar is a great opportunity to go and listen to other DJs and different forms of techno music, and take something away from that that motivates you and encourages you to experiment with your music, try different things and keep pushing forward and connecting with people. Richie Hawtin did his Plastikman thing as well, to see the level of creativity he puts into that is inspiring. It makes you want to go away and push yourself, challenge yourself. I think it’s really important, sometimes when we are sitting alone at home making music, it’s very difficult to sometimes get that feeling and it might not be working and you are getting frustrated. It’s really important to get out there and realize there are other DJs and producers with their own take on things and something jumps out at you that connects with you as well and then you can go away and put your own stamp on that too. What have been your favorite songs so far in 2014? There’s been quite a few. The radio slave track that’s out at the moment that’s been really popular is with Don’t Stop No Sleep, that is a very good record, it’s a bit more strict back, but it’s really effective. It’s works really well. Other big records for me, there’s been Harvey McKay’s Something Good, which is another different take on techno too, it’s got a lot of power, a lot of drive, but it’s got this amazing vocal in it, and the way that the breakdown is done is a little bit different. He’s got his own unique style, but it’s definitely been one of the biggest records I’ve been playing over the last six months. I’d say those two, very different records, for different reasons. What new genres or new explorations of genres have you been listening to lately? I think within deep house they are playing slightly tougher too, and slightly more techno sound influence. Still not fast or tough, but it has this nice energy to it. At Sonar especially, I was listening to Mano Le Tough and Tale of Us and I’ve noticed something kind of just creeping through with a couple of DJs of late. I think this summer in Ibiza that will be a reasonably big sound, shall we say, or style. I will be interested when I go back out there to see how that’s going down next month really. What is in store for Intec this year? Do you have any huge releases we should keep an eye on? Next up we have Dosem, which comes with his second EP for us, which we’re very excited about, again that’s a development in sound for him for what most people know him for. Out right now we have Tomy DeClerque with track called Restart, which is very very good powerful techno. 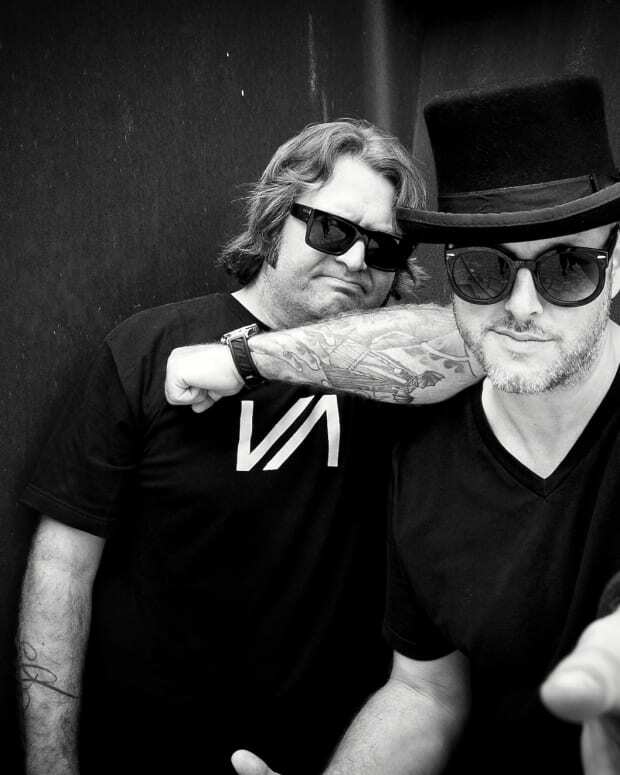 Then we have a big big record from Marco Bailey coming later in the year, and we’re just getting some remixes done, it’s called Find the Answer, which he has done with a vocalist called Amadeus. We feel it’s the best record he’s ever written. We’re very excited about that track, so that’s definitely the key one to look out for. Now in regards to Etch, what distinguishes that label from Intec? Etch was really started for me as an outlet a few years back purely based as a place where I’ve never produced music that is similar or to be in fashion with any particular people. There’s not always been such obvious records on there. It was really a case of another outlet for me, it’s really just there for my own productions. I believe in the sound that I am making and I’d like to get it out there, and that was it. I was sending records off to certain other labels, and they weren’t quite feeling them at the time, and I just thought well, you know what? I believe they’re good enough, I believe they’re strong enough, so I release them, and they’ve always largely done reasonably well. There’s something in there that people are connecting with, and that’s why I need to get them out, and I’d like to get them out. So there’s no real plan to build it in the same way as Intec. I have enough on my hands doing that, so I don’t need to double it. How has the reception been thus far to your three EPs that you have released this year? Good actually. The Intec EP went down really well, the Cybernetics track charted well. We actually got more DJ support on the other track called Raven which was a bit more of acid influenced workout, but again still with some funk and some groove in it. I think people have kind of come into this development of sound from last year for me where it’s got this older techno influence within it, but with a modern production twist. Again, trying to make it unique to myself really and have my own style and sounds. Following on from that, with the Etch and Octopus releases, same again really. I’ve been very pleased with the reactions they’ve been getting, a few more people have come on board that I was hoping over the years might support, like Dave Clarke for example. He’s a very big pioneer of techno music, I was quite chuffed to get a compliment from him. So happy, very happy. On your recent February release, the Fifth Generation EP via Etch, the tracks are described as a development within your sound, delving into slightly tougher realms. Would you agree with this description? And if so, what has caused this new exploration? I was listening to some music last year from artists that I really enjoyed when I was younger, like Oscar Molero and some really really early Christian Varela material, and I just felt inspired, to be honest. I guess it just felt right, I started writing and it all seemed to click into place. The kick drum is a little bit tougher, the hats are little bit crunchier, I can’t say for sure, other than that I just felt inspired, and that’s what happened. I have noticed you do not make it over to America too often, why don’t we see you over here more frequently beyond festivals? I don’t know, I’d love to know that. Actually working on it right now to be honest, to be able to come out a little bit more, on and off I’ve been coming out for about six years. I think again it’s just this kind of like I was coming out trying to push techno onto people a little bit in my own kind of way, but also give them a bit of what they wanted, and maybe they weren’t quite ready for it yet. Now is a better time where they possibly are, so we’re working on something for the Fall. I’m looking forward to that! If you are an active techno listener, be it European or American, you would be hard pressed to find a strong argument against Mr. Rundell’s assessments, there is something very special going on, and the genre is more popular than ever, and growing stronger. I would say it is prominently because of definitive tastemakers like Jon who are constantly searching for the most creative and innovative sounds, and bringing those artists into focus but with an eye and an ear towards pushing things forward, always evolving. Jon’s talent as a producer, a performer and a curator, derives from his knowledge of the entire musical process from creation to exhibition. Considerate of the audience, yet understanding of his own artistic integrity, and with very clear message of pushing things forward, Jon achieves his mission with great results on so many fronts. To sum it all up, I have to say… We need a Jon Rundell tour in America as soon as possible. We need the funk, we need the groove, and we need the all around ambition that are infused in his techno tunes! 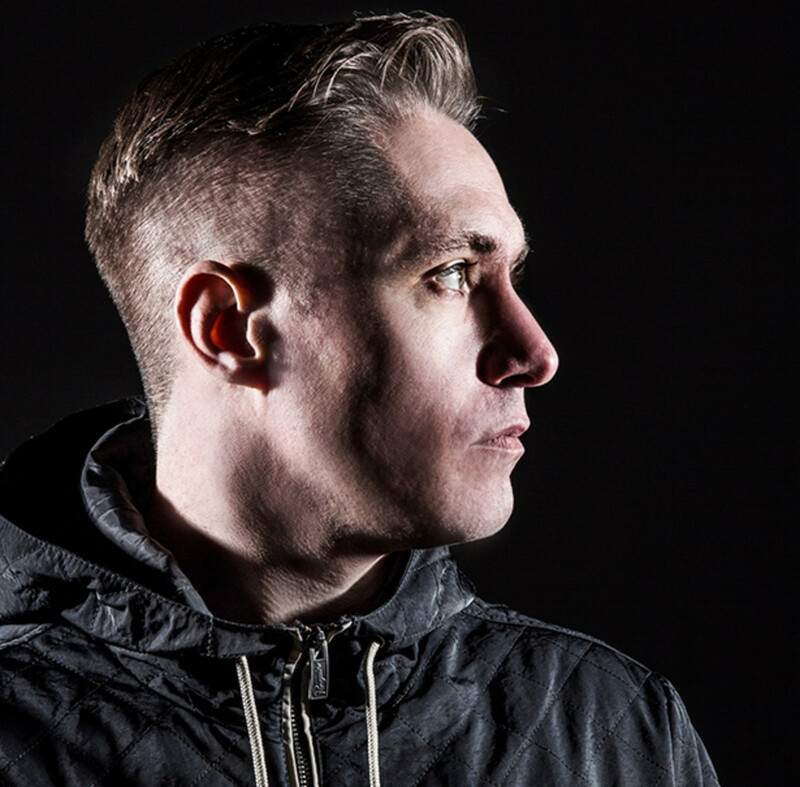 Follow Jon Rundell on Facebook, Twitter, and Soundcloud.